Excel Networking Solutions’ Paul Cave will be hosting the first series of Excel Passive Optical Network Training Courses, which will aim to introduce Passive Optical LAN with both informative and practical hands-on elements. The training courses come shortly after the copper and optical cabling provider launched their PON Solution, a comprehensive selection of PON solutions, delivering fibre to a range of environments across FTTx and POL network infrastructure systems. Passive Optical Network (PON) is an umbrella industry term for fibre-based access networking architecture that is designed for both residential environments (FTTx) and enterprise environments (POL). 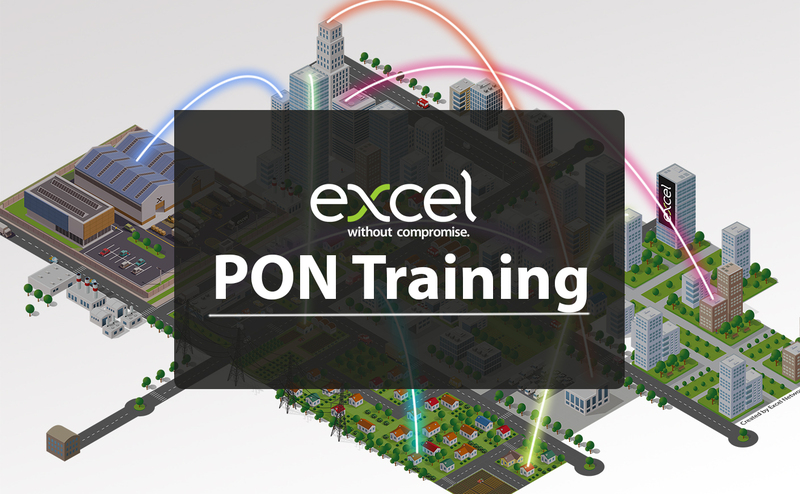 Regardless of the size of the building, the Excel range of PON products offers numerous options in fibre connectivity and distribution and the training courses aim to support designers, consultants and engineers to design and install the PON Solution efficiently. Paul Mills, Excel’s Director of Sales for North America, was recently elected as the APOLAN Chairman to continue to share his expertise to further generate market opportunity for fibre-based networks in the American market. Paul Cave has also been elected onto the APOLAN committee, representing Excel and their leadership within the Passive Optical LAN field. The Excel PON Solution will also be featured at the upcoming Excel Partner Briefings, which commence in Birmingham on February 26th 2019, with further events in Manchester, Glasgow and London. The complete product set will be available to view at the mini-exhibition at each of the events, and a team of Excel product specialists will be on hand to discuss various options. If you would like to apply to become an accredited Excel partner and enjoy future Excel events and training courses and a 25 year warranty amongst other benefits, you can do so via the website.